We are launching two new products today but before I get into the details, did you see the new First Print Survival Guide video? Check it out here! We know one of the biggest pain points with the V-One are the nozzles. The standard nozzles are quite fragile and must be handled with care. They aren’t exactly cheap either. On top of that, solder paste nozzles tend to dry out and need to be purged before using. Well, we’ve been listening to your feedback. 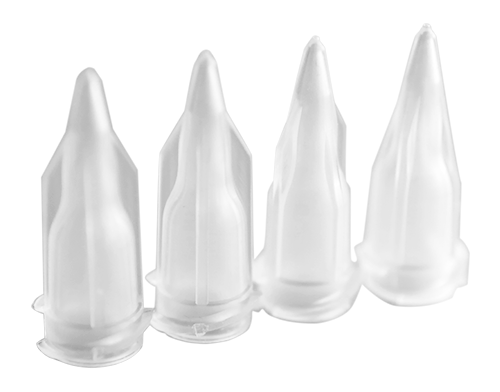 We are happy to start offering disposable nozzles. For $24.99 USD you can pick up a pack of 25. Check them out on our store here! The nozzles have been designed to minimize ink volume used and maximize fluid flow. Also, since they are visually clear, it is very easy to prime conductive ink and solder paste with them. 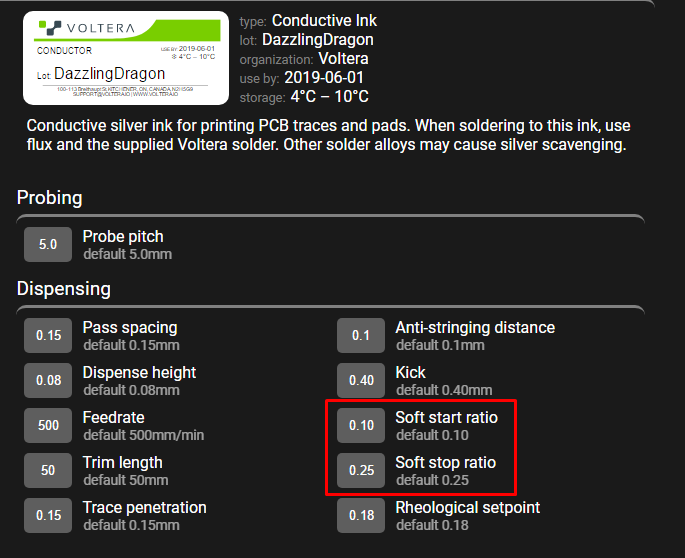 One note - If you need high resolution in your prints (very fine traces), then it is probably best to stick with the 150 micron nozzles for now. The tolerances in the plastics limit how fine we can go with these. We have tested them internally and had positive results, but we’d like to get a little bit more mileage with them so for the time being they will not be part of any bundles. You might have noticed that soldering to conductive ink is not like soldering to copper. In fact - we put together a dedicated tutorial for this. One of the current pain points during hand soldering is that the provided solder wire does not have flux inside, so flux has to be separately added to get the solder to wet the pad nicely. This can be annoying if you have many components. 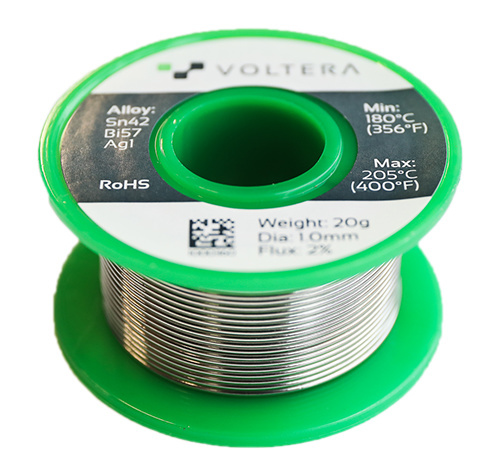 Well, that pain point is gone - we are happy to offer a fluxed version of our solder wire. You still have to keep the soldering temperature low, but this should bring the soldering experience closer to copper. Pick up a pack here! Bake the board upside down. Burnish with the white burnishing pad for 20-30 seconds. Set your temperature iron to 205°C (400°F). Max temp! Use the new solder wire and apply solder to the pad first, then the component. Why didn’t we offer this before? Easy - it was remarkably difficult to find a solder manufacturer that could do it. That’s it for now, as always - if you have any feedback just let us know here or say hi to @MikeL in our in-app chat! I purchased a set of the disposable nozzles. Bottom line: Worth it! There are a few draw backs, I think they ooze a little more than the 225micron standard nozzles and they do not seem to start or stop traces as cleanly. Those two are probably related. I think for the time being, designing boards with a slightly larger trace spacing will alleviate any of the drawbacks for the nozzles. Your cartridge is over pressurized, meaning the gear is too far forward. Try clicking the - (minus) button two or three times to relieve the pressure. Clicking the + and - buttons just makes micro adjustments to the gear position. Your soft start and soft stop ratios are too low. Click the gear on the top right and try increasing the soft start and soft stop values a little bit. For example, try setting them both to 0.4 and print the calibration pattern to see the difference.